The Nintendo Switch has been out for over a year and it’s a monster hit but this entire time it hasn’t offered a proper online service. That’s going to change next Tuesday, September 18. Nintendo has shared most of the details about the service and there’s good news, bad news, and just weird news. 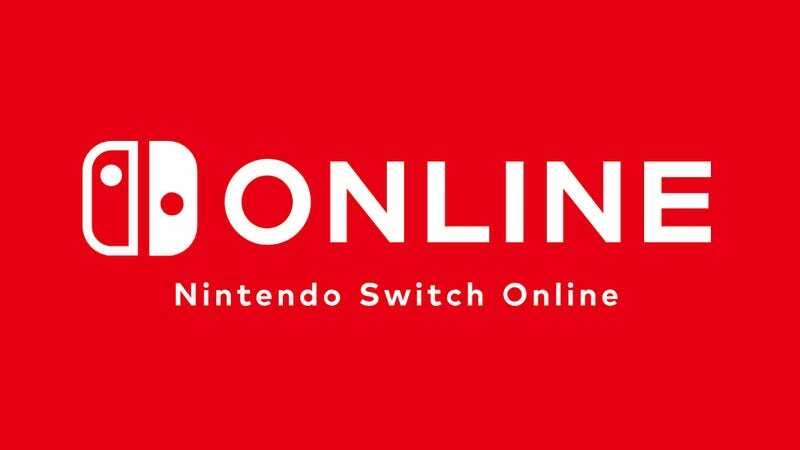 The beloved video game company had a lot of announcements in its latest Nintendo Direct yesterday and it’s posted some more details about Nintendo Switch Online (NSO) to its website. Up until now, if you played games like Splatoon 2 online, it was free. Starting Tuesday, you’ll have to cough up $3.99 per month or $19.99 per year for the privilege of splatting opponents on the other side of the world. There’s also an option to pay $7.99 for 3-months of service. Soccer, Tennis, Donkey Kong, Mario Bros., Super Mario Bros., Balloon Fight, Ice Climber, Dr. Mario, The Legend of Zelda, Super Mario Bros. 3, Double Dragon, River City Ransom, Ghosts’n Goblins, Tecmo Bowl, Gradius, Pro Wrestling, Excitebike, Yoshi, Ice Hockey, and Baseball. Solomon’s Key, NES Open Tournament Golf, Super Dodgeball, Metroid, Mighty Bomb Jack, Twinbee, Wario Woods, Ninja Gaiden, and Adventures of Lolo. It’s also worth noting that you’ll need an active NOS subscription to access the games, but they’ll be available offline for up to seven days as long your subscription is active. The games will remain installed on the console but you’ll have to check in every seven days to continue to play them. The most crucial and practical feature of NOS is that we’ll finally get cloud saves. For many people, this extra security will bring a lot of peace of mind, especially considering the fact that the Switch is a portable device just waiting to get lost, stolen, or destroyed. You will be able to access cloud saves on a friends device and transfer your files to a new unit if some calamity occurs. But there seems to be some confusion about whether your cloud saves will be safe in the event that your subscription lapses. In the FAQs and customer support pages that were uploaded today, Nintendo only says that it is “unable to guarantee that cloud save data will be retained after an extended period of time from when your membership is ended.” That’s not particularly reassuring. Though Nintendo’s service is cheaper than Sony’s PlayStation Plus, Sony at least retains the data for six months, so say you got a new credit card and forgot to update your renewal information, you’ll still be okay. Microsoft offers free cloud save storage on the Xbox Live. We’ve reached out to Nintendo to ask what kind of breathing room users can expect before their hard-earned save file disappeared. We’ll update this post when we receive a reply. Another thing to keep in mind with cloud saves is that Nintendo has said it won’t be available for all games. We don’t know which games will be excluded yet, but Splatoon 2 and Dark Souls: Remastered were mentioned earlier this week when the company told Kotaku that it fears cloud saves could be used to cheat in certain circumstances. Exceptions will also be made for some games, enabling you to play online without paying anything in some cases. A million middle-schoolers across the country can all breathe a sigh of relief because Nintendo says in its FAQ that Fortnite will remain free-to-play.